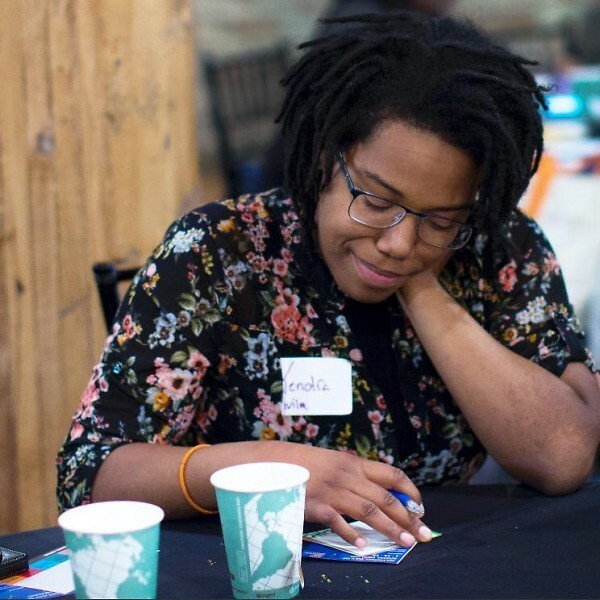 Kendra Avila, a Grand Rapids resident passionate about equity and social justice shares her experience attending the Urban Core Collective Refuel Road Trip to the Jim Crow Museum of Racist Memorabilia and why she strives to build a community of belonging. I have learned in my short few years living in West Michigan that being a strong, independent, and resilient isn’t enough. I need community. This article has been written by Kendra Avila. Kendra Avila, originally from Soddy Daisy, Tennessee moved to Grand Rapids in 2015 for an internship, with no intentions of staying more than a few months. Three years later, she now chooses to call Eastown home. Passionate about equity and social justice, she strives to understand how to live this from a place of love and not fear or anger. Being a person of color living in Grand Rapids can often feel very isolating. Navigating the social structure that is West Michigan is difficult, on top of all of this, being a young adult with hopes of growing in my career -- the task can feel overwhelming. I have learned in my short few years living in West Michigan that being strong, independent, and resilient isn’t enough. I need community. The first Transformational Leaders Program (TLP) Refuel Road Trip offered me and other young aspiring and seasoned leaders living and working in Grand Rapids the opportunity to learn more about the legacy of racism and how echoes of systemic oppression are still experienced today. The conversation with Dr. Pilgrim came to a close and we stood to walk back to our cars, I examined the mural of faces of those who were victims in the fight for equity. There is so much work to do. What is my role in the continuous fight for equity? What is yours? This article first appeared on the Urban Core Collective blog.